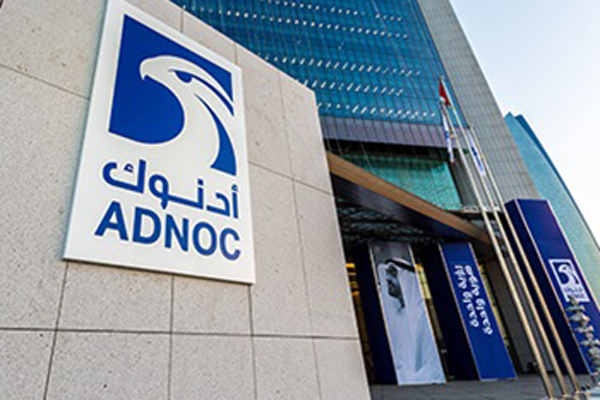 Abu Dhabi National Oil Company (Adnoc) today announced it has safely completed the first co-loading of liquefied petroleum gas (LPG) and propylene onto the same vessel, which was docked in Ruwais, the UAE. Under normal circumstances, LPG, which is produced by Adnoc Gas Processing, and propylene, which is produced by Adnoc Refining, are transported separately. By successfully loading around 12,600 metric tons of propylene and 33,000 metric tons of LPG onto a single vessel, freight rates were significantly reduced. Abdulla Salem Al Dhaheri, director of marketing, sales and trading at Adnoc, said: "Throughout Adnoc, we are focused on thinking differently to deliver greater value and more efficient operations. This pioneering procedure, the first of its kind in our industry, has the potential to generate significant value for Adnoc. "Shipping costs, or freight rates as they are more commonly referred to, constitute a significant amount when delivering a product to customers and end-users. By co-loading product that is bound for a particular customer, or location, we are able to deliver substantial cost-savings." To enable the co-loading of LPG and propylene, which must be stored at different temperatures, Adnoc conducted a number of workshops with its customers, product specialists and Adnoc Group Companies involved in the loading operation. Al Dhaheri added: "We are constantly challenging ourselves, and our partners and customers, to think creatively and identify new opportunities that deliver value and mutual benefits to our organisations. A number of innovative proposals have been put forward, and many have been progressed. This new practice could change the market approach to loading Propylene onto larger ships and reduce Propylene freight rates dramatically. For me, this really represents the new, progressive and agile organisation that Adnoc has become." In line with its strategy to maximise value from its downstream refining, petrochemical and gas processing operations, Adnoc Gas Processing produces up to 10.5 million metric tons of LPG per annum, while Asnoc Refining produces up to 1.7 million metric tons per year of propylene.